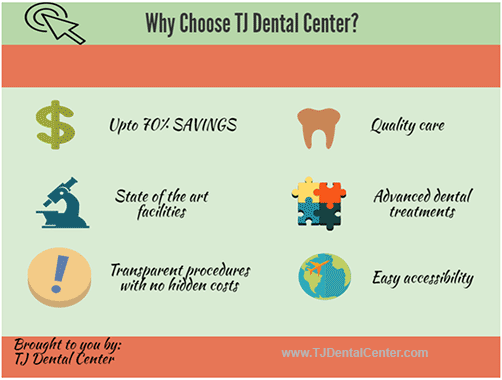 Welcome to TJ Dental Center - a state-of-the-art clinic in Tijuana, Mx which offers low cost dental work south of the border. 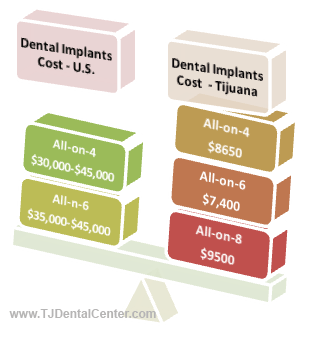 Compared to the average prices in the United States and Canada, in TJ dental services cost a lot lower. Take a look at our price list to know your savings. TJ Dental Center works with the best dental surgeons in Mexico with combined work experience of more than five decades. Dr. Esteban Ramirez is a renowned oral and maxillofacial surgeon specializing in dental implants and corrective jaw surgery. Dr. Marco Antonio Valle is a cosmetic dental specialist with more than 46 years of practice. We also offer sedation dentistry using tablets and IV for minimizing discomfort and easing dental anxiety. 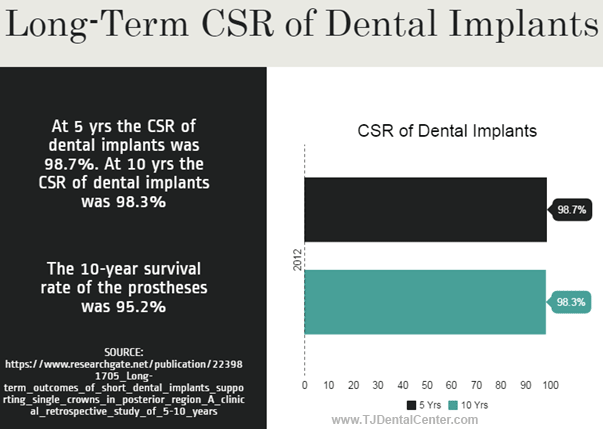 Dental implant is an artificial root of the tooth which is inserted into the jawbone and is allowed to fuse with it. 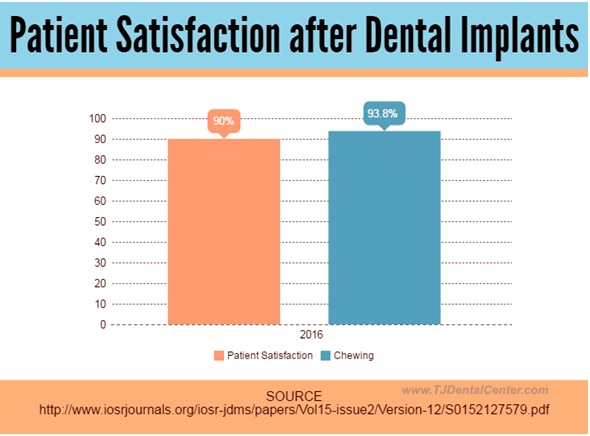 Implants act as anchors for crowns and bridges and are an effective solution to missing teeth. 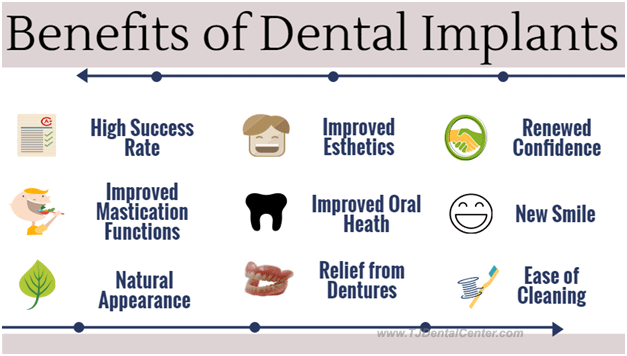 All on 4, 6 and 8 dental implants help in complete rehabilitation of the jaw missing all teeth. The All-on system relies on 4, 6 and 8 dental implants fused with the jawbone to restore all the teeth. The implants are topped with a full bridge. 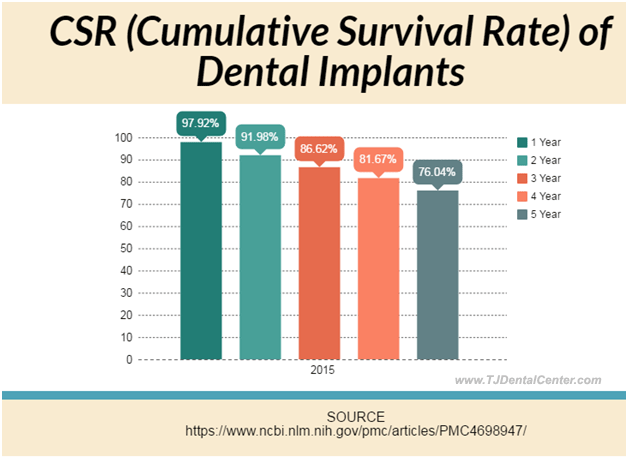 While all on 4 requires no bone grafting surgery, having sufficient bone in the jaw is a prerequisite for all on 6 and 8 implants. Veneers improve the aesthetics of your smile by covering misplaced, chipped and uneven teeth or gaps between them. These are thin shells resembling the outer, visible portion of teeth. 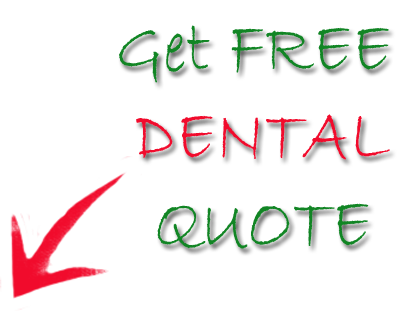 The veneer is cemented to the enamel of the tooth using a chemical resin. A bright light is flashed over it to harden it. A crown is an artificial cap which is placed over a tooth to strengthen it, improve its appearance, alter its shape or have it better aligned. It can also be used to replace a big filling where not much of the tooth is left. A bridge is used to replace one or more missing teeth. The teeth surrounding the gap left by missing tooth/teeth are called abutments and are used to anchor the bridge into place. 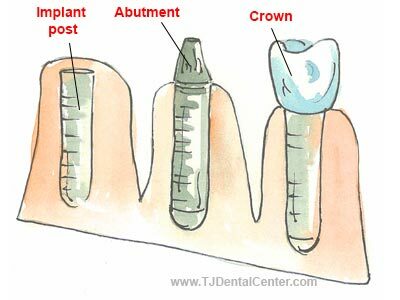 The replacement artificial tooth/teeth are attached to the crowns that will cover the abutments. Also known as corrective jaw surgery, orthognathic surgery helps in proper alignment of jaws and correction of skeletal abnormalities, thereby improving appearance, chewing ability, breathing and speaking. Some of the common dentofacial abnormalities corrected by jaw surgery are open bite, lower jaw protrusion, receding lower jaw, and chronic Temporomandibular Joint Disorders (TMJ, TMD).